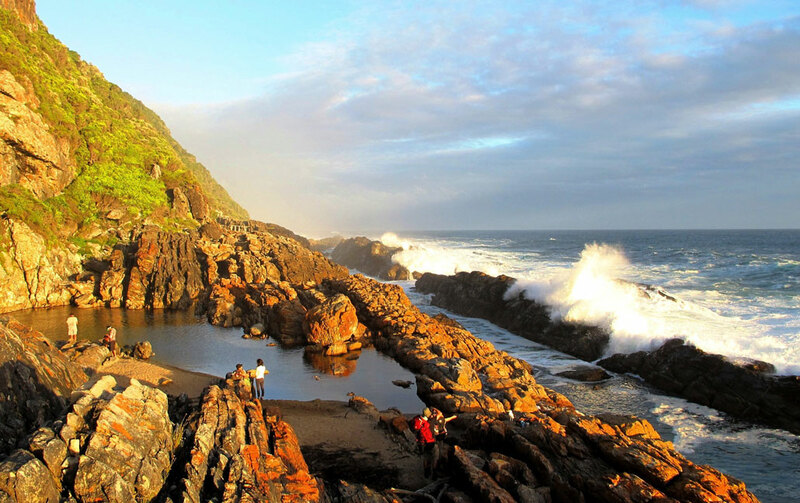 The Otter trail is officially the oldest and undoubtedly the most iconic hiking trail in South Africa. 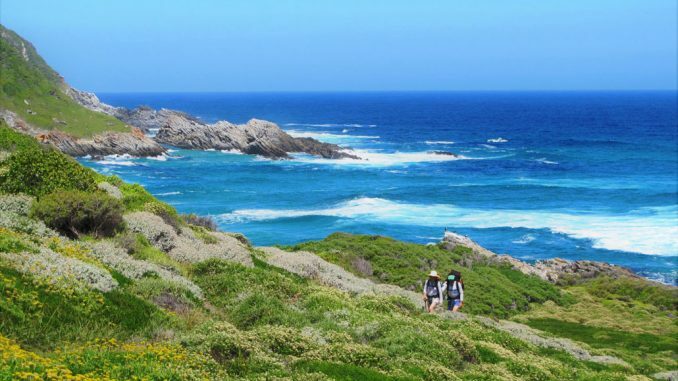 The trail, which runs along the spectacular coastline between the Storms River mouth and Nature’s Valley, was opened in 1968 and is considered one of the finest multi-day trails in the world. It is named after the shy, mostly nocturnal, Cape Clawless Otter which inhabits the estuaries and streams of the South African coast. 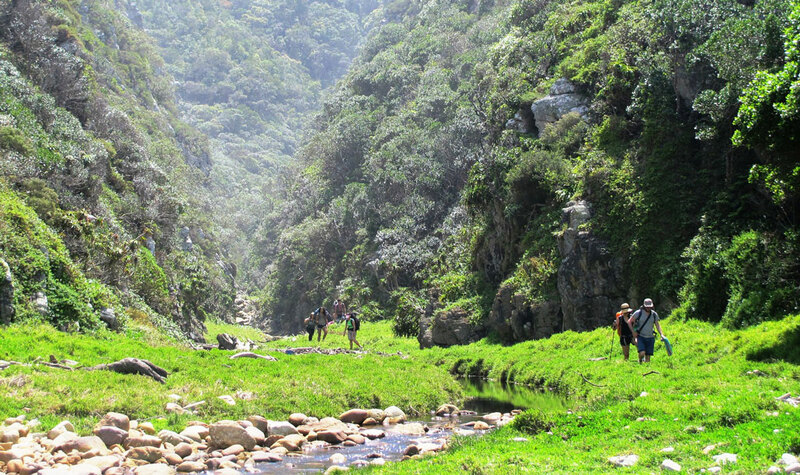 Difficulty rating: 7/10: The Otter might not be as demanding as some other longer trails, like the Amatola or Outeniqua, but it should not be underestimated. It has some steep climbs and descents, as well as technical river crossings. Technical rating: Mostly standard trail walking interspersed with “walk-through” river crossings. 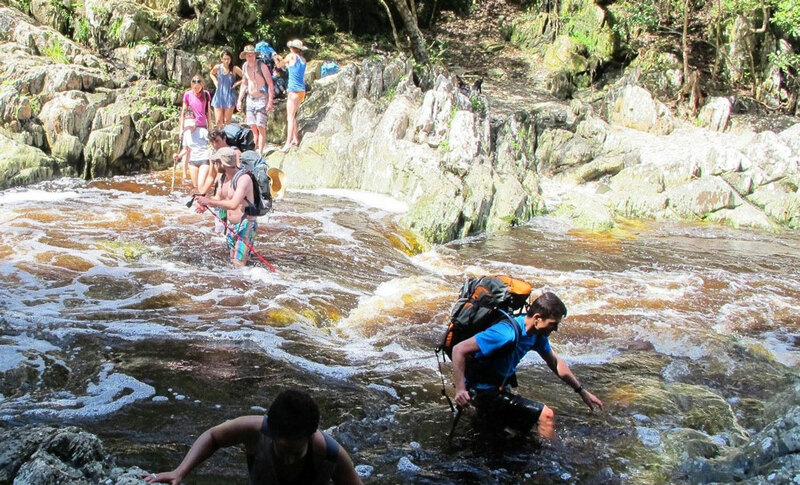 However, the main technical difficulty of the trail is the Bloukrans River crossing which involves swimming across the river and climbing up steep terrain by use of a rope. The distance is below average for 5-day hikes (just about 45km) but the variety and splendour of the landscapes make it truly mesmerising. 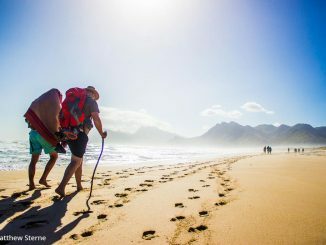 Any fit hiker will probably be able to finish each day before lunch time, but the trail offers so much to savour along the way that days are blissfully spent swimming in rivers and streams, walking through dense coastal forest, relaxing on beautiful beaches, gawking at huge waves crashing into the shoreline, enjoying the rich floral, insect and bird life, exploring the underwater world in tidal pools, or gazing at dolphins playing in the waves. 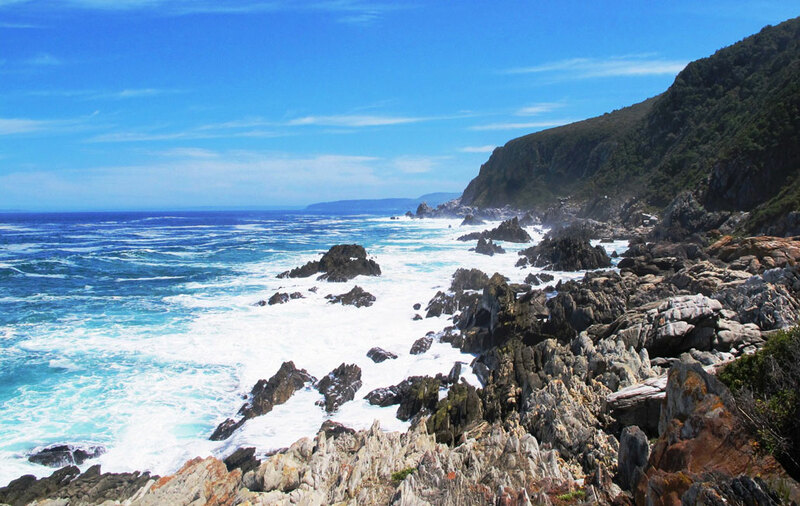 One has to report to the Storms River Park Reception to pay conservation fees, get the trail map and watch a short video which highlights the trails most recent changes. The trail starts nearby at a parking area. The trail finishes in Nature’s Valley. 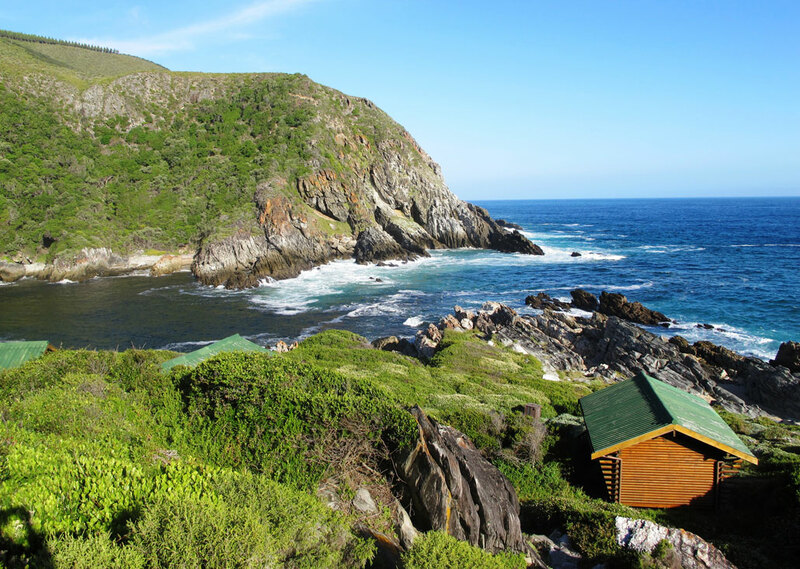 There is a compulsory check-out at De Vasselot Rest camp where Otter Trail Certificates are also issued. The short and relatively easy first day allows for a late start, but do not hurry past the beautiful features along the way! 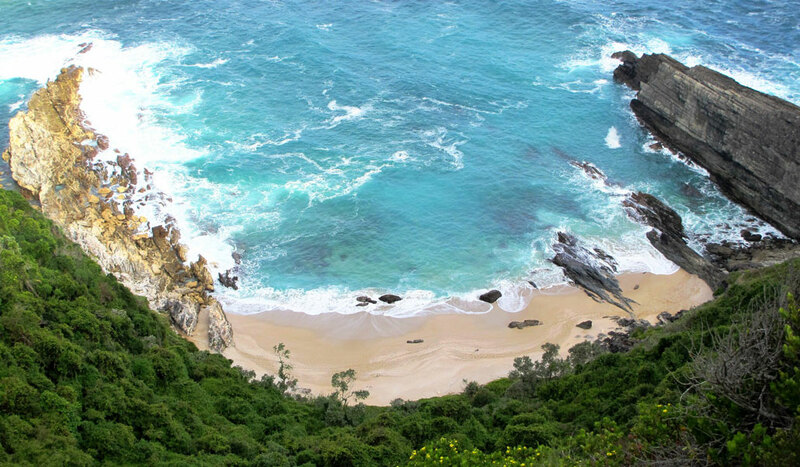 The hike starts with a steep descent through coastal forest to an abrupt entry onto seaside rocks and magnificent scenery. Around the halfway mark on Day 1, you will come across the Jerling River waterfall, which cascades into a large pool. 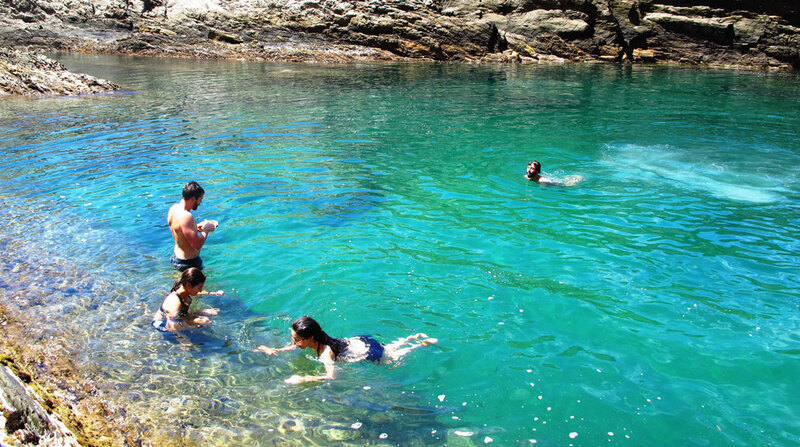 It is a perfect spot for a break and a swim, if you can handle the chilly water. After that there’s a climb through natural forest and then on to the huts with their large communal braai-area. The second day provides the first real challenge with some steep ascents and descents in the coastal forest, with the steps being high and irregular. 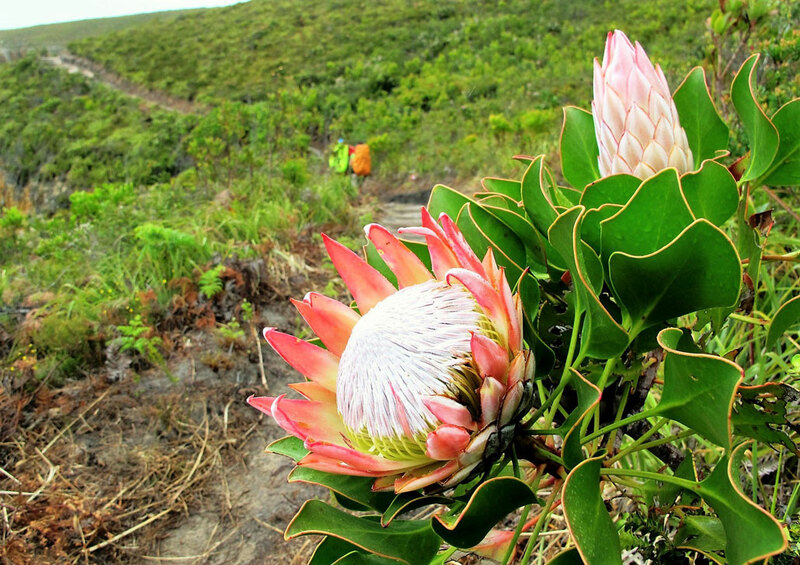 Be sure to walk across to the top of Skilderkrans (2km mark) for some spectacular panoramic views, but also keep an eye out for birdlife and surprises offered by the micro environment. 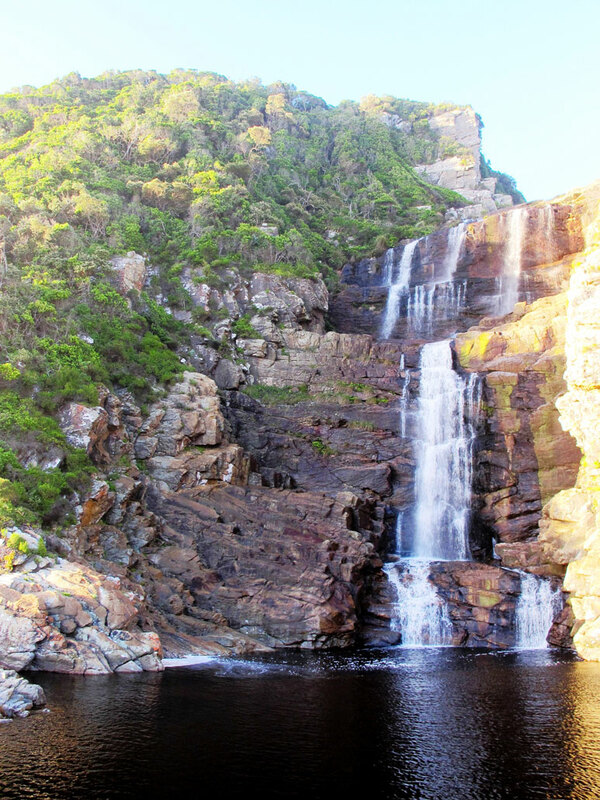 From Skilderkrans, the trail goes through its characteristic ascents and descents to reach the Kleinbos River with its sizeable pools and steep flanks – a worthy spot for a break and a swim. 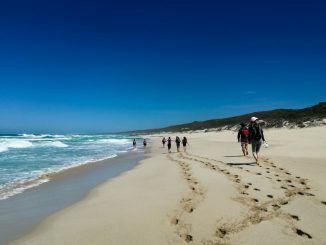 Bloubaai beach at the 5km mark is a fantastic lunch & swim spot in fair weather. The descent to the beach is steep and it is a good option to leave backpacks near the main trail if it is for a quick stop only. 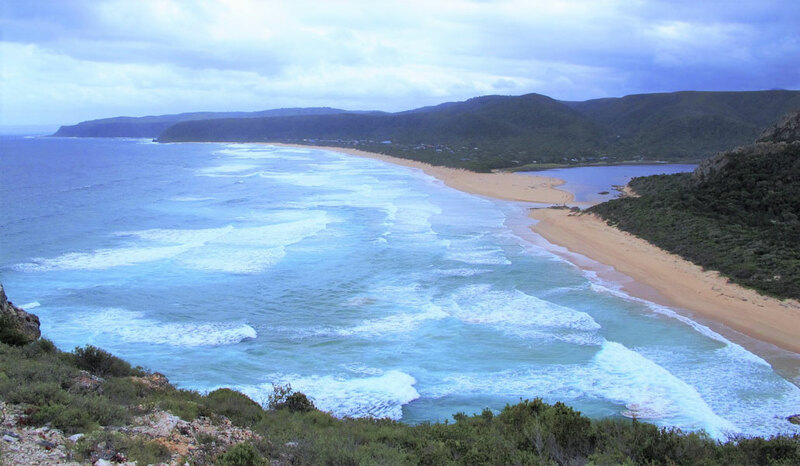 This is arguably the best day on the Otter, with forested sections, several streams, a lovely tidal pool, walks along beautiful stretches of coastline and some visits to the plateau. In-season wild flowers abound. The terrain is also a bit easier than day 2. 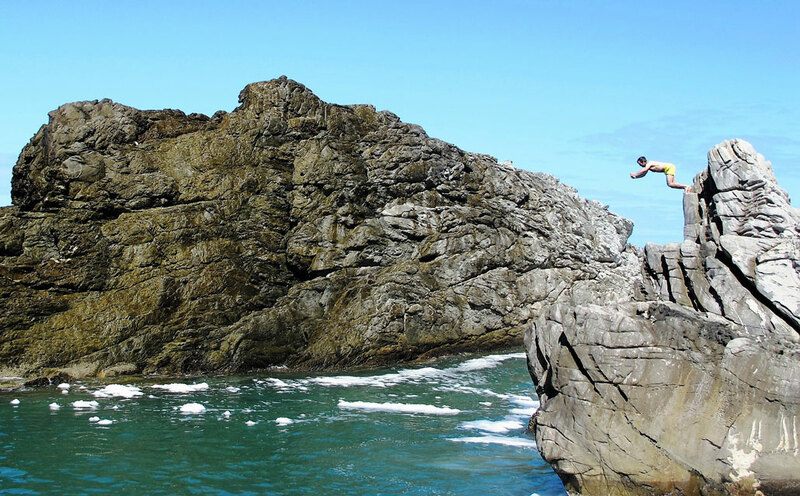 There’s a tidal pool with a good jump (take care!) early in the day. It is worthwhile to bring a diving mask to explore the underwater world of colourful fish, sea anemones and starfish that inhabit the pool. It is advisable to try and cross the Lottering River close to low tide – at high tide you may be in for a swim with your backpack. After the river crossing, the Oakhurst huts are close by and are situated in a spectacular location – it is worthwhile arriving before sunset to explore the area. Day four presents the greatest challenge for both distance and river crossings. 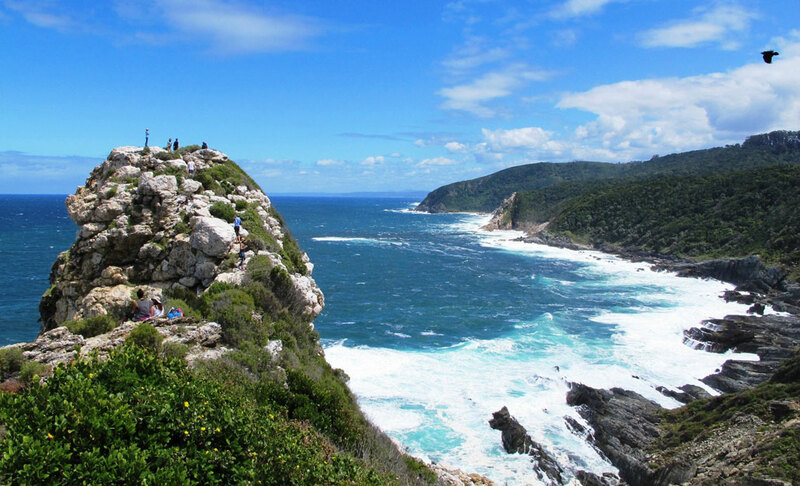 The trail undulates through forest and dramatic coastal sections for the first 10km, after which the famous Bloukrans River crossing is reached. It is important to cross the Bloukrans close to low tide, which might necessitate a pre-dawn start. 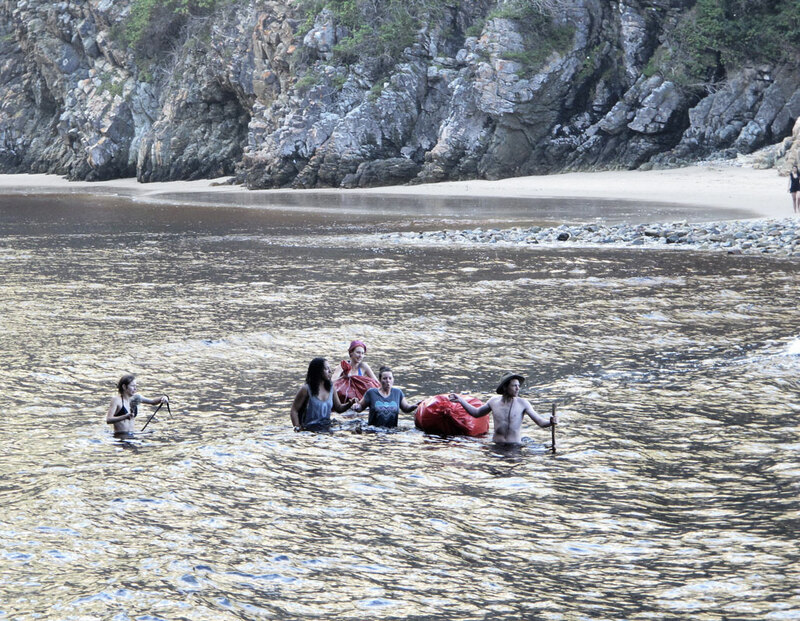 Even at low tide the river is likely to require a short swim and one therefore must have survival bags in which to float your backpack. If the river is flooding, or you arrive there when the tide is full and the sea is rough, it is strongly recommended to rather make use of the escape route (see map). 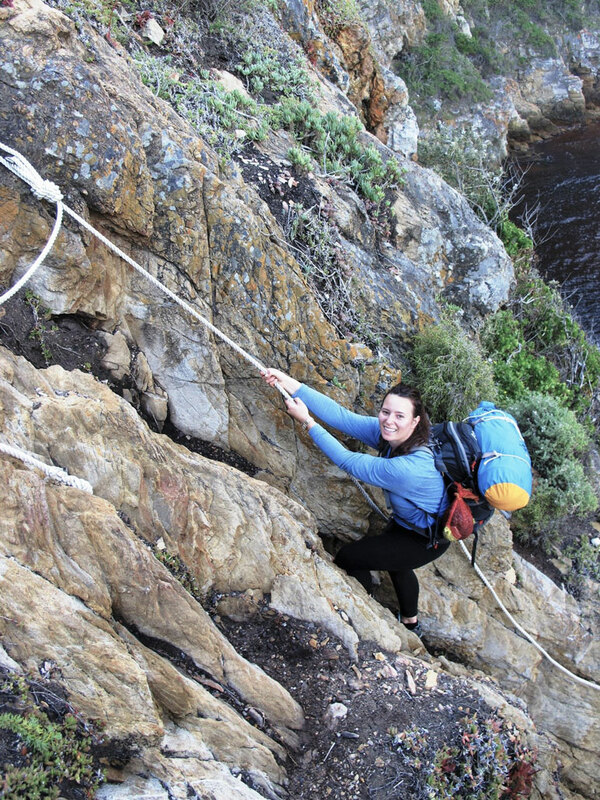 If conditions are favourable for a crossing, it is a good idea to send a strong member of the party across to identify a suitable landing spot before everyone goes across – there is a sandy gully near the mouth of the river (when the tide is low) or a rocky landing in a small cove which will require some scrambling, but a safety rope is fixed in place. After the river crossing there is a steep and long climb to the plateau. The path then descends to Andre huts on the banks of the Klip River. 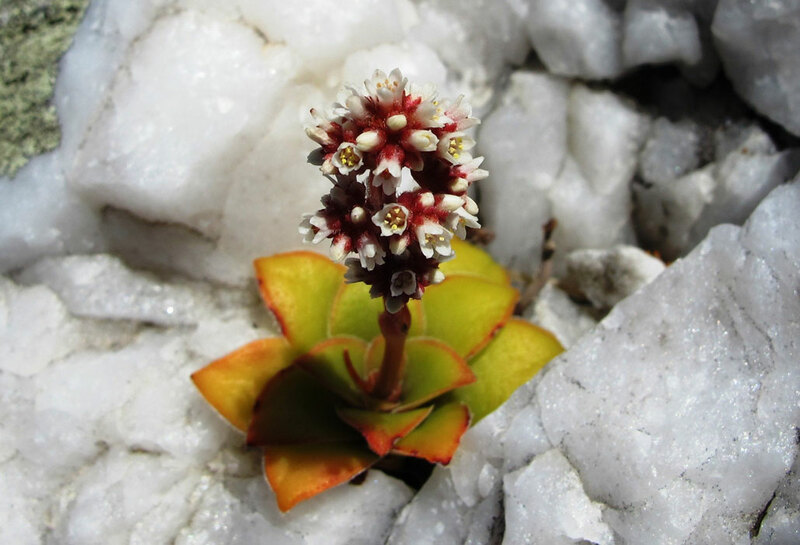 The day starts with a short walk on a rocky beach, and then a steep climb up to the plateau. From there the trail stays mostly on top of the plateau on easy terrain. Rich fynbos and Erica’s abound. Also keep an eye out for king proteas. 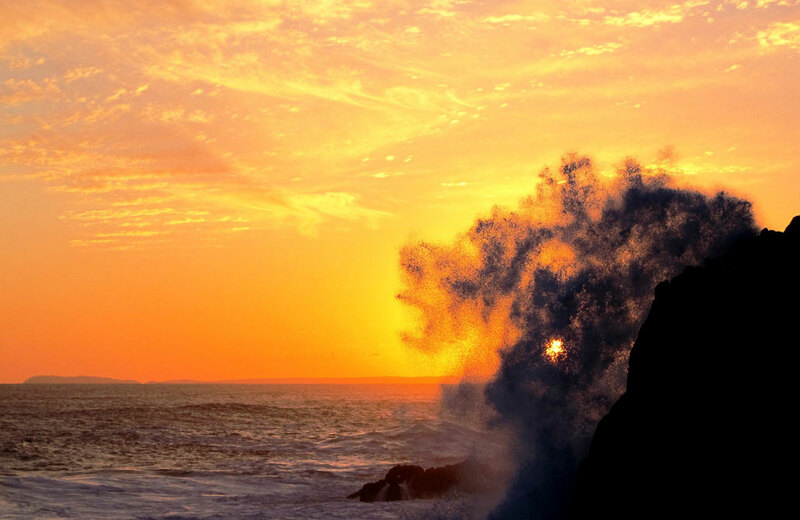 There are some good lookouts on the spectacular cliffs as you approach The Point. 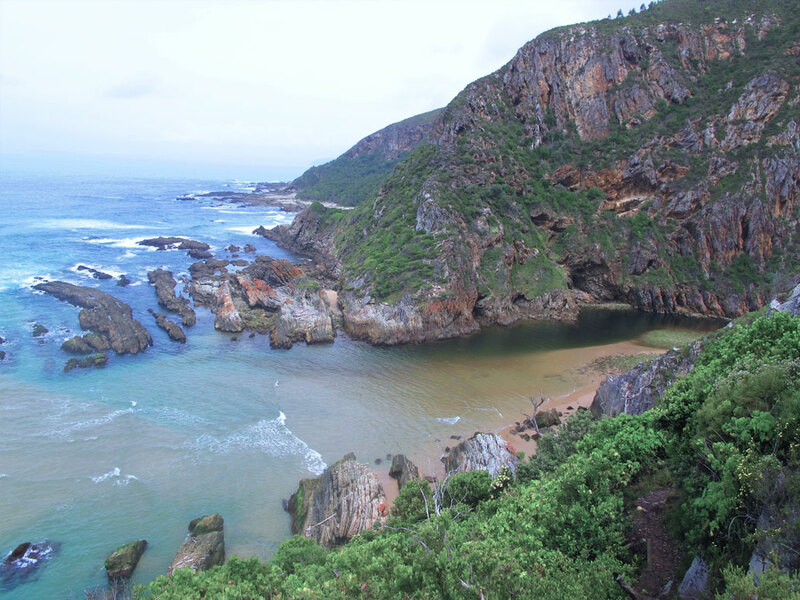 The panoramic views of the Groot River estuary and Nature’s Valley beach announces the end of the trail. There is a slight sting in the tail after the descent, with 4km of beach walking left to De Vasselot – an appropriate time to celebrate and reflect on a remarkable trail. The trail takes a maximum of 12 hikers at a time. If not fully booked by a group, the remaining spots will be available for booking by the public. It should also be noted that the minimum and maximum ages are 12 and 65 respectively. It is essential to plan and book long before the time – the trail is normally booked for up to a year in advance in all except the winter months. There are, from time to time, spots open on short notice due to cancellations. There are two huts that sleep 6-people each at the end of days 1 to 4. The huts are equipped with bunk beds and mattresses. There’s a toilet (often with a scenic view), a braai area with firewood, a cold shower, a rainwater tank and a bag/bin to dispose of rubbish. There are many streams and perennial rivers along the way. 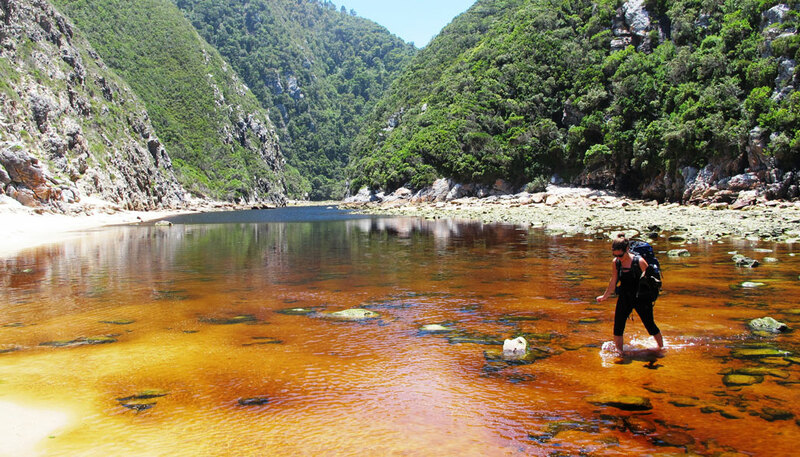 The tea-coloured water from mountain streams are generally safe – do not be put-off by the dark hue, it is due to the tannins from the indigenous fynbos. Water from the larger rivers often runs past human settlements and should preferably be treated or filtered. See the SAN Parks website for updated information on water. There are several river and stream crossings which should be approached with care. After heavy rainfall, even small streams can become difficult to cross. Consult the map for the location of larger rivers and be sure to pack a large, durable plastic bag (survival bag) in which to float your backpack. For the Elandsbos, Lottering and Bloukrans rivers it is advisable to cross at low tide. 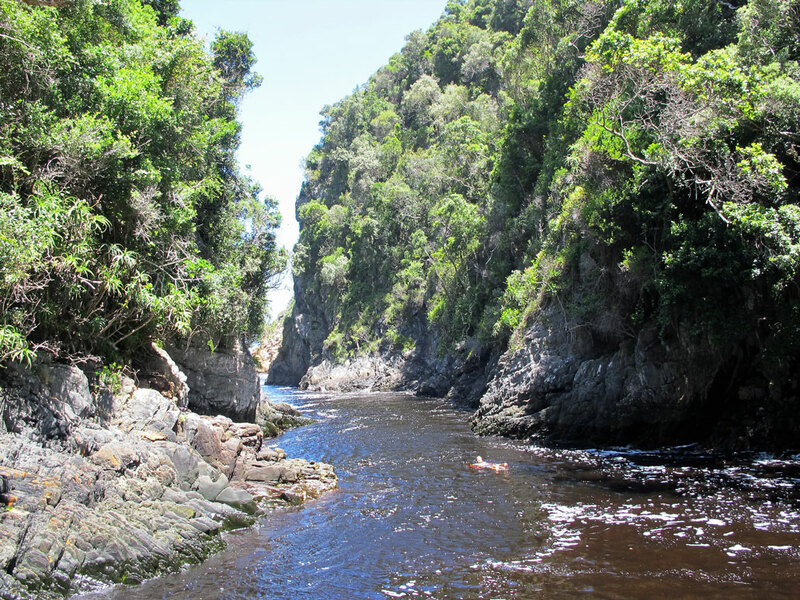 The Bloukrans River crossing can look daunting, but if done at low tide it may be surprisingly easy. I’ve done the Otter twice, and this article (and especially the pics) make me want to HEAD STRAIGHT BACK!! Fantastic! I had a hip replacement in nov 2017. Would the otter trail be to difficult for me? Thinking of doing it next year? That’s a very difficult question to answer. My suggestion would be to hike a 2-day hike first, carrying a fully loaded backpack, to see how your hip handles the extra weight as well as walking 2 days in a row. That being said, I know people who have had hip replacements and hiked the Otter Trail without any trouble. Do you any guide ? 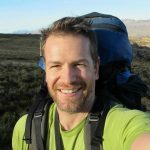 Hi Jacques, the best place to post your questions is on our community forum (https://community.hikingsouthafrica.co.za/). 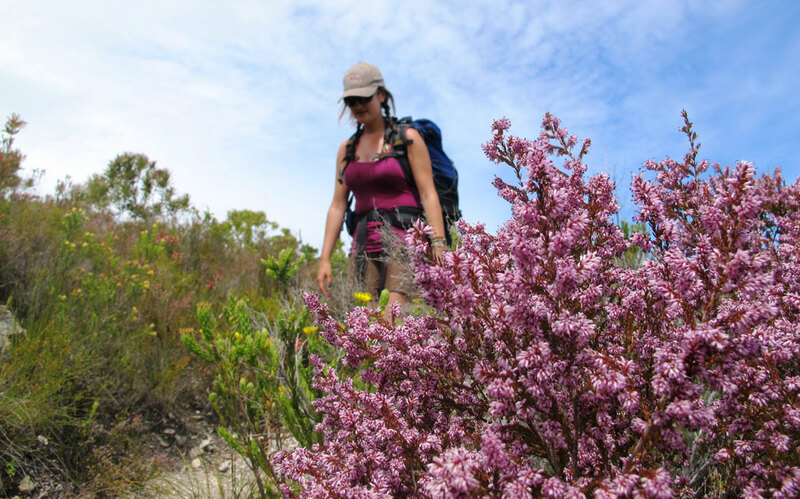 There are a number of professional guides in and around Cape Town: Venture Forth, Hike Table Mountain, Platteklip Tours, to name but a few. Just completed the Otter last week. Absolutely amazing! Bloukrans was ankle height at 9:30 am and shoulder height at 1pm ! Don’t be late like me LOL. Hi Mell, you would have to check this directly with SANParks (+27 12 428 9111). I also think the age limit is strange – any adult should be able to assess their own ability. I would suggest taking it up with SANParks well in advance; I would be surprised if they do not allow exceptions. Otherwise I’m sure they won’t actually check your birthday; maybe you can just quote your “fitness age” – just don’t get into trouble on the trail! I turned 66 now in June and hiked the Otter as at 65 in May. I had to get a doctor’s certificate that I handed in at the start. No problems. 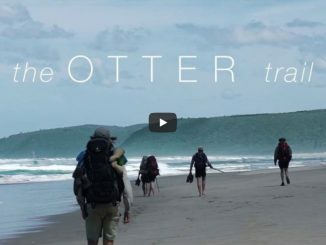 Where can I see the exact costing for the Otter trail? We’re going to do the trail on October & I’VE few questions: What about food? What do you recommend us to take? is it possible to cook something at the huts? Dyou know about the weather in Oct. as we are not from S.A. Thanks. Regarding cooking food, you will need to be entirely self-sufficient (carry your own gas stoves, pots and cutlery). We are a group of 12 doing the Otto Trail in May 2019, Can you advise if you, or if you know someone who can assist us with porterage? You could also try contacting SAN Parks (where you made the booking) – I think they facilitate slack-packing options. My wife and I are interested in doing the otter trail in the near future. I would like to ask if a person can take a fishing rod along to do a bit of fishing when not hiking? To my knowledge fishing isn’t allowed in the reserve (and hence on the trail); the harvesting of mussels is also prohibited. For a definite answer I suggest contacting SAN Parks. And do take a diving mask – a couple of lovely pools in which to explore the underwater-world.